The StairMaster StepMill SM916 is a staple in any health club or gym. 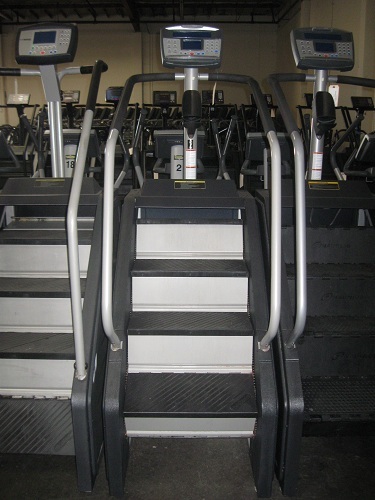 The Stairmaster Stepmill SM916 uses patented revolving staircase with 8″ (20.3 cm) high steps, which most closely duplicates the workout of real walking or running up stairs. The Stepmill SM916 offers 6 workout programs; Quick Start, Manual, Fat Burner, Calorie Burner, Speed Intervals, Heart Rate Zone Trainer, and fitness tests; Multi-stage Fit Test and CPAT Fire Fit Test. This product requires a minimum ceiling height of 10 ft.